I spend my life pretending to be hip, then doing things and saying things that shoot that argument down in a flash. An instance is when I tweeted that I still get a printed newspaper delivered to my driveway and that I pay with a check. You’ll understand that I remembered that sad saga when I read that small and medium sized businesses still make the majority of their payments by paper check. A new survey of more than three hundred small and medium-sized businesses released by MineralTree and Bredin, found that, in ten years, the number of paper checks written by businesses has actually gone up by 53 percent. U.S. businesses now issue nearly 10 billion checks annually, spending between 10 billion and 20 billion dollars on check issuance alone. The survey released found that nearly seventy percent of small and medium businesses want to eliminate check writing altogether. Bredlin, which has an electronic solution so it has a horse in this race, believes that what’s holding SMBs back is they can’t find a solution that meets their payment needs. This brings me to the idea of mobile payments. If you believe the hype – and I hope that you don’t – cash will be gone by Tuesday. You know the story – customers will be using their cellphones only. Of course, if this were true, the ramifications would be huge. They would include the readiness of point of sale systems, not to mention the output of training of salesfolks to the new world. So just where are we? The good news is that mobile payments are in the early days. With that said, I know of kids selling Girl Scout cookies with the use of the Square payment solution. 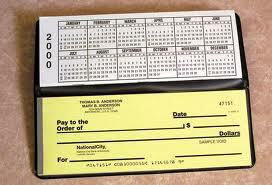 Small and medium sized businesses are now expected to have newer technology than checks. As this survey shows, SMBs are behind the times. So am I. The issue isn’t critical. Yet. But there is no doubt that both SMBs and I need to get with the new world. October 31, 2013 by Jeff Hasen.